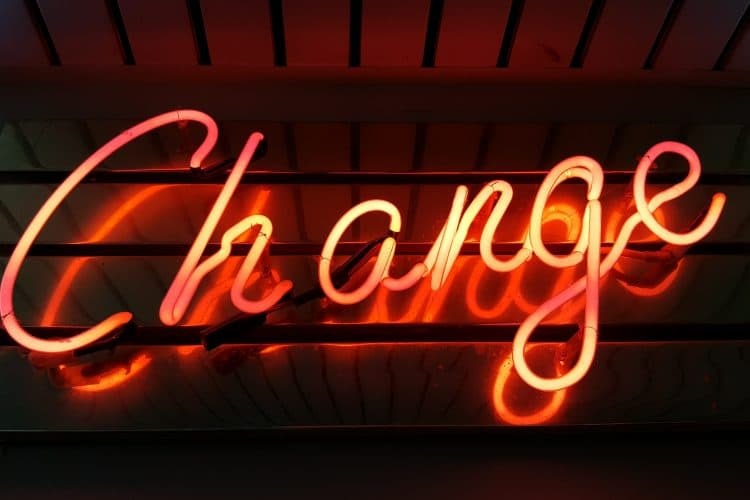 We could all do with handling change in life better, whether that’s changes we can control or changes we have no control over, either one has the capacity to bring us and our young people to our knees with stress and overwhelm. Managing expectations. Encourage your young people to think carefully and honestly about what they expect this change will do. The ‘grass is always greener’ approach really does no-one any favours, your young person might be changing schools full of expectation that they will leave behind bullies and horrible teachers and that life will be so much better in the other school. Only to find that making friends is difficult, teachers still have the same high expectations and on top of that the journey to and from school is much harder. If you can encourage them to consider how they might go about making new friends, how they might start with a more positive approach to teachers or how to manage a long or difficult school journey then they will be better equipped to face the new school. Share your own story. This is one thing where Christians who work with young people have an advantage over a more secular model of youth work. We are able to share much of our lives, including stories where our experiences might be a help to the young person in front of you. Make sure that you are listening before speaking, that you are not invalidating the young person’s experience and feelings in what you are saying i.e. don’t approach it by saying, ‘Well I changed schools and life was so much better so you’ll be fine don’t worry’, or worse, ‘You can’t have it any worse than I did at school, my best friend betrayed me and my teacher threw a blackboard rubber at me, you’re going to be fine’. Instead listen, reflect back to them what you are hearing ‘So it sounds like you’re really annoyed at one or two of the boys in your tutor group, is that right?’ and offer your own experience as comfort, ‘Aah, that sounds very much like my own school days, I remember how much that sucked, so sorry you’re going through this now’. There is some debate about whether youth workers should offer advice, one of the arguments being that we should be able to support young people to come to their own conclusion about what they can do in their own situation. I’m certainly finding that approach working with my own teenager and pre-teen! Others feel that a central role of working with young people is being able to offer advice for looking at things differently and I think there is value in either approach, as long as it’s done appropriately. Offer a safe space. Make sure that your youth work is a safe space for young people to be themselves, to express their inner selves and find acceptance and care while they might be living through a storm of change. Giving the young people permission to be themselves is such a crucial part of supporting them through a period of change; sure, their behaviour might need gentle challenge and you might find it difficult to understand why they are acting out or not be able to see the difference you are making but trust me: when we hang on in there with young people who are struggling they will remember the time we took to be with them when they were at their most vulnerable and it will mean more to them than anything else. Get yourself a mentor, or similar. In order to be the steady ship that your young people need, you will need back up. Not only a good team of people helping you run the activities, not only good line management but also someone you can offload to who will pray with you and for you. If you don’t have this facility I would suggest keeping a journal, so you can write it all out and maybe gain some insight along the way. Look after yourself. We youth workers do not do very well with keeping ourselves healthy: eat well, resist the temptation to rely on sugar and caffeine particularly in the long term, build some exercise into your weekly routine that’s not playing football with the young people, create a good sleep routine and stick to it as much as possible. Make sure you have a good balance of work and not working (this is where good line management and accountability comes in), delegate or ask for help when you need it. You are no good to yourself, your young people or your church/organisation if you’re exhausted and burnt out. So that’s 5 tips for helping your young people deal with change. If you have any good resource tips please do leave them in the comments, it’s good to hear from you!